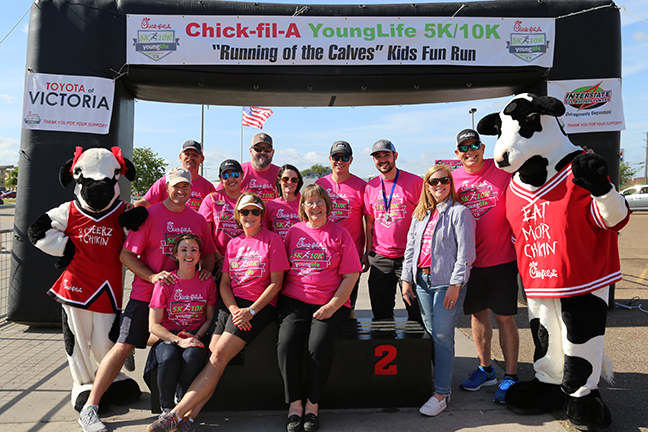 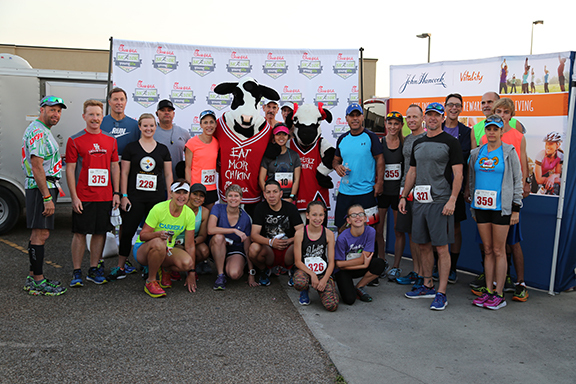 The 9th Annual Chick-fil-A Young Life 5K, 10K and “Running of the Calves” Kids Fun Run is one of Victoria's premier race events designed for the entire family. 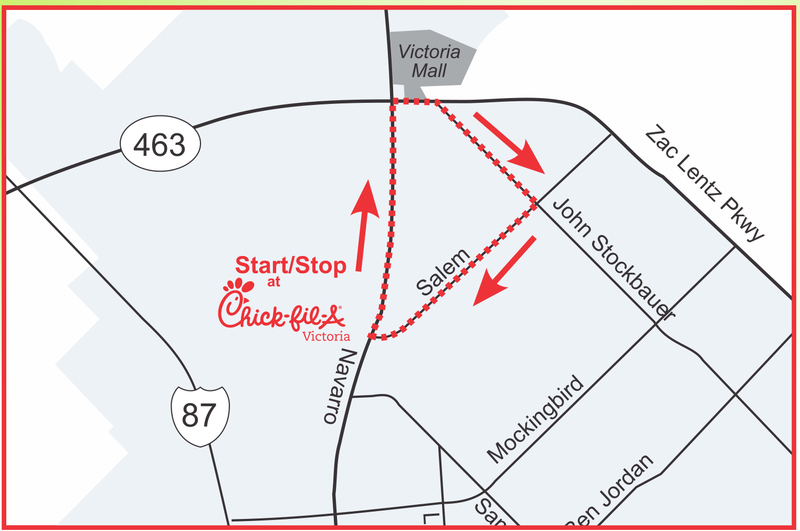 The race takes place on the Victoria city streets, allowing for a safe, fast and flat 3.1-mile loop. 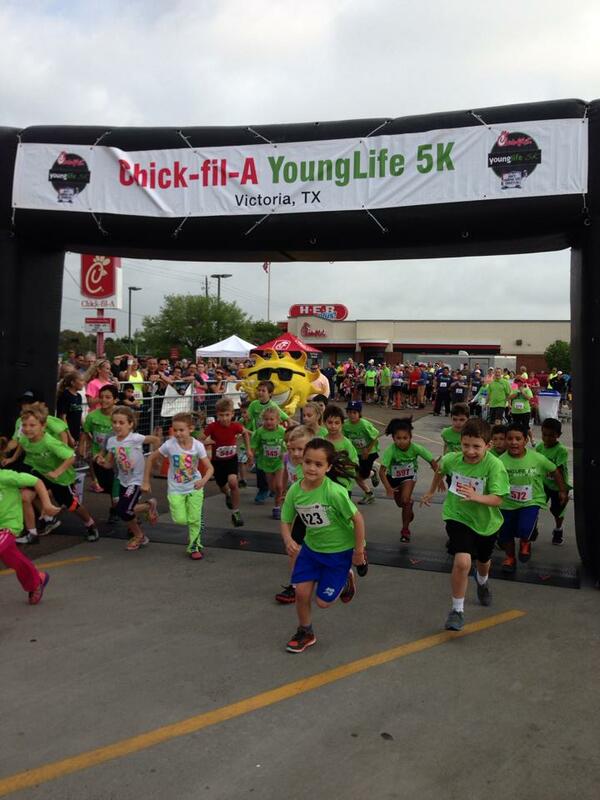 The start and finish lines will be located in the parking lot next to Chick-fil-A Whispering Creek in front of H‑E‑B plus!®. 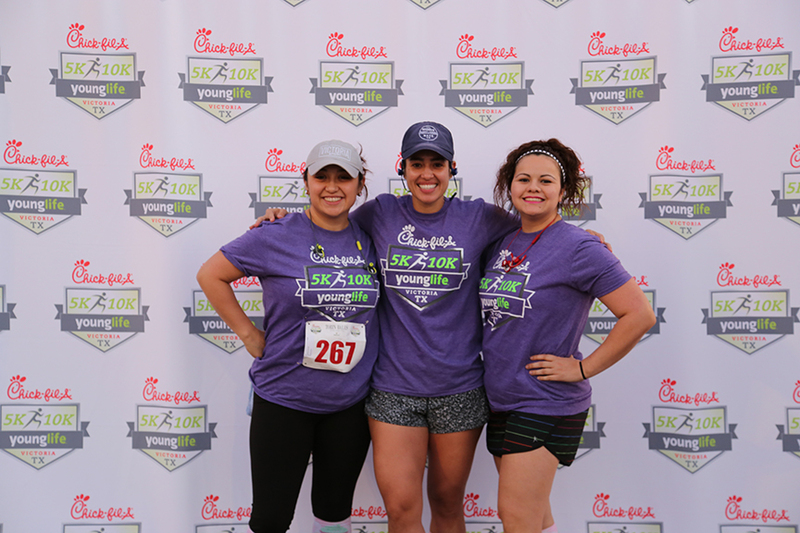 The 10K participants will complete two loops to fulfill the 10K mileage. 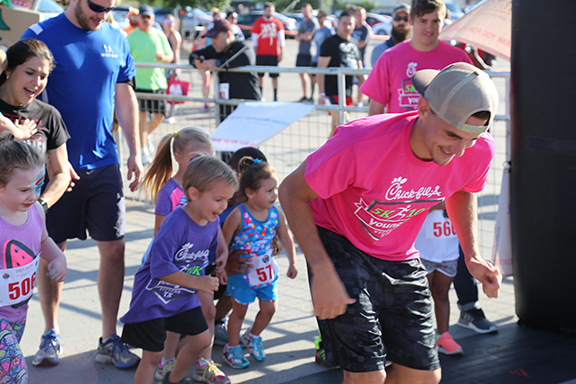 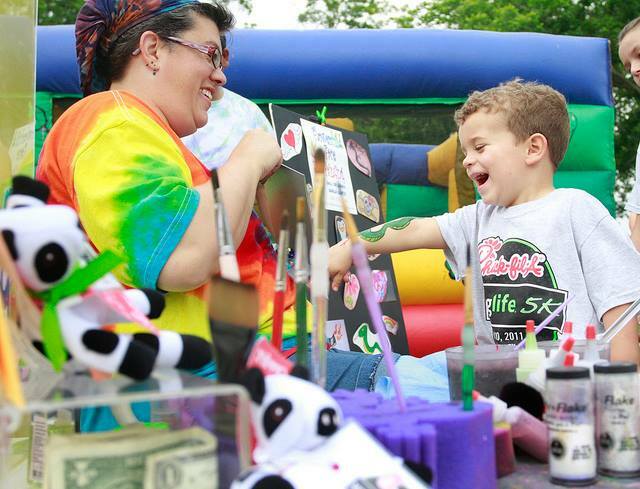 The “Running of the Calves” Kids Fun Run will take place in a designed route within the parking lot immediately following the completion of the earlier races. 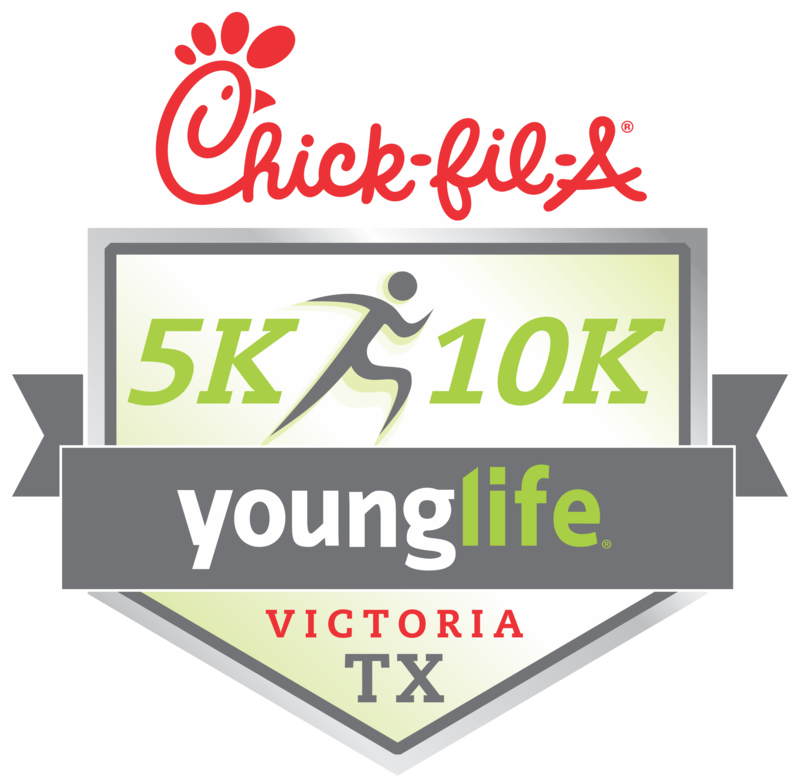 The 5K and 10K will start promptly at 7:30am. 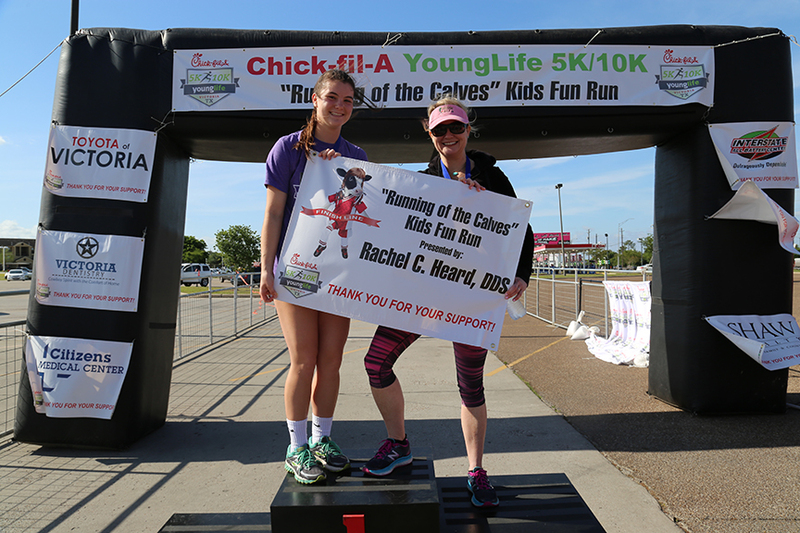 (after the 5/10K is completed).